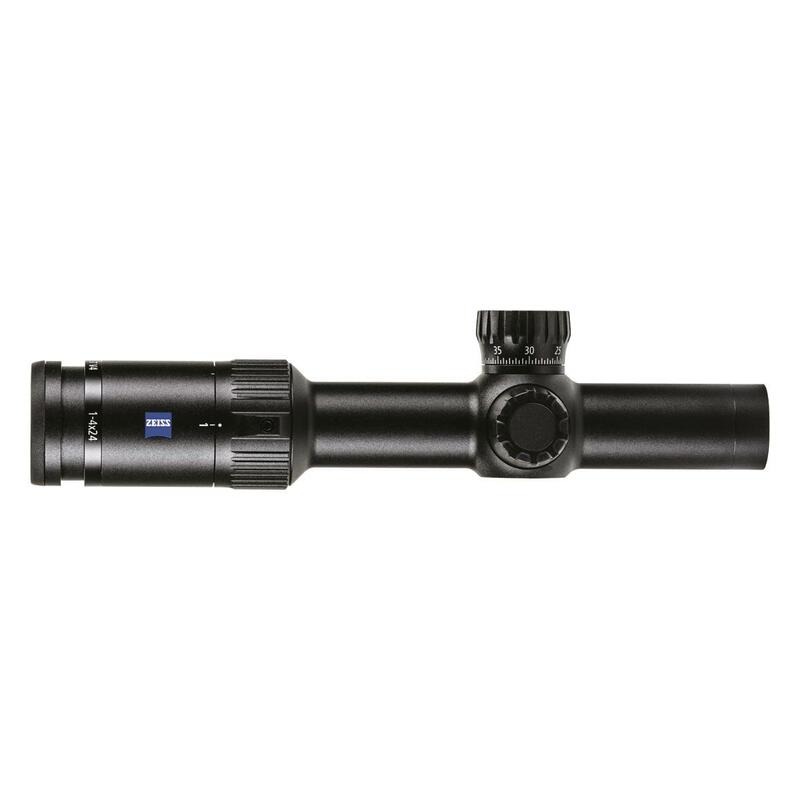 German design and engineering in the Zeiss Conquest® V4 1-4x20mm Rifle Scope meet your demand for a more versatile short range sport optic. 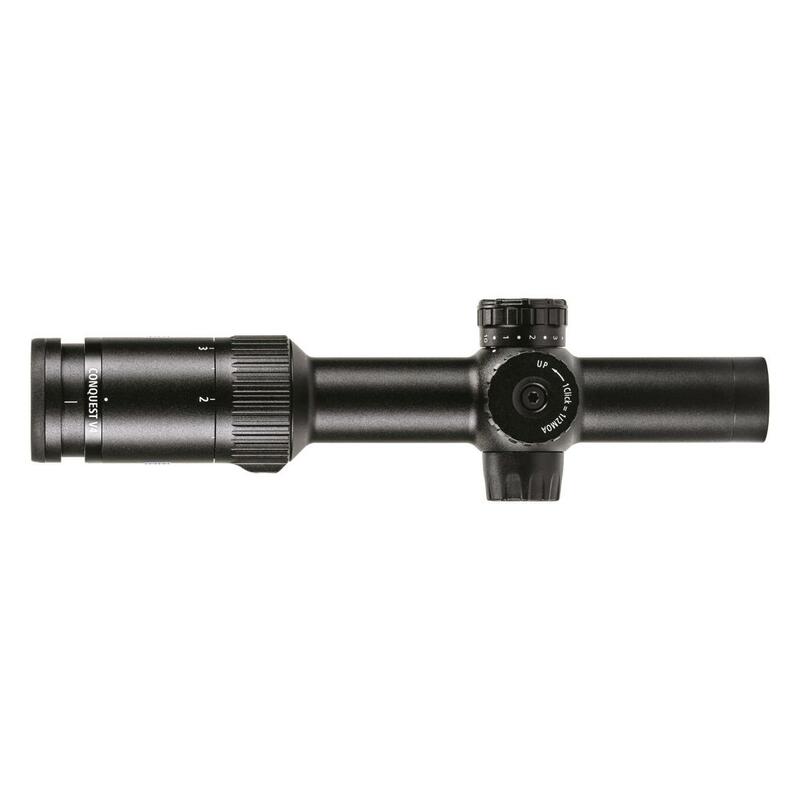 High definition glass with T* transmission and LotuTec® protective coatings put 90% of available light from the front of the scope to your eye for better resolution across the entire magnification range. 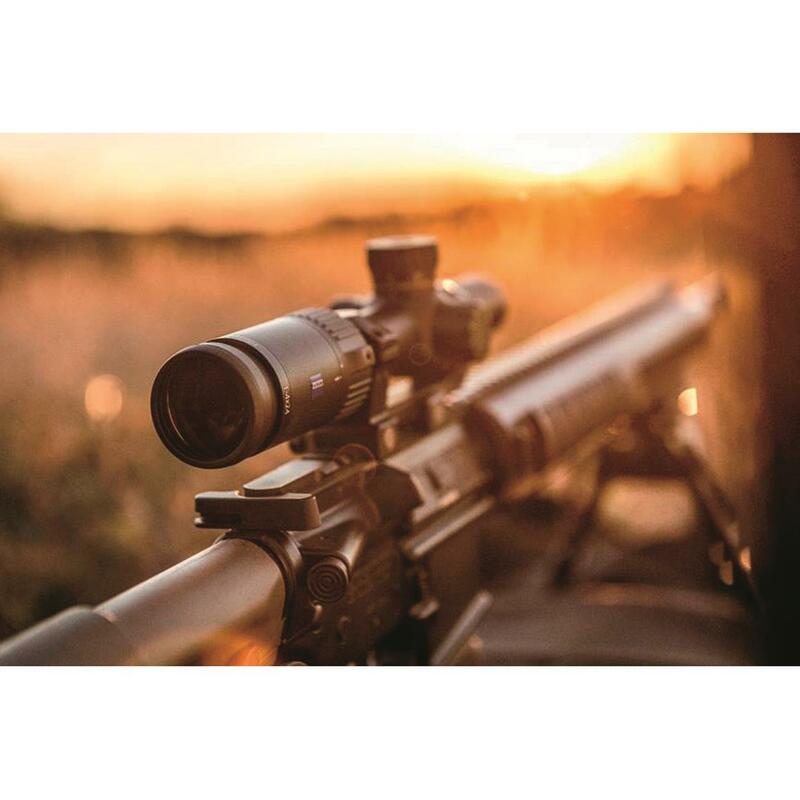 Generous eyebox and wide field of view provide faster both eyes open aiming and awareness of your surrounding area. 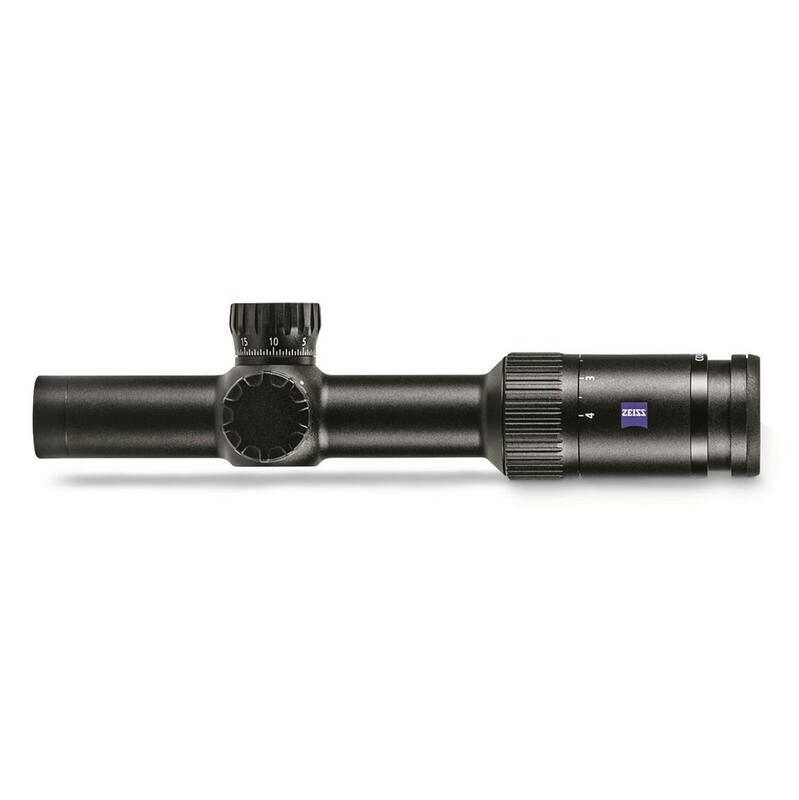 External elevation turret is easily gripped and highly repeatable with a large range of adjustment for challenging shots at any distance. 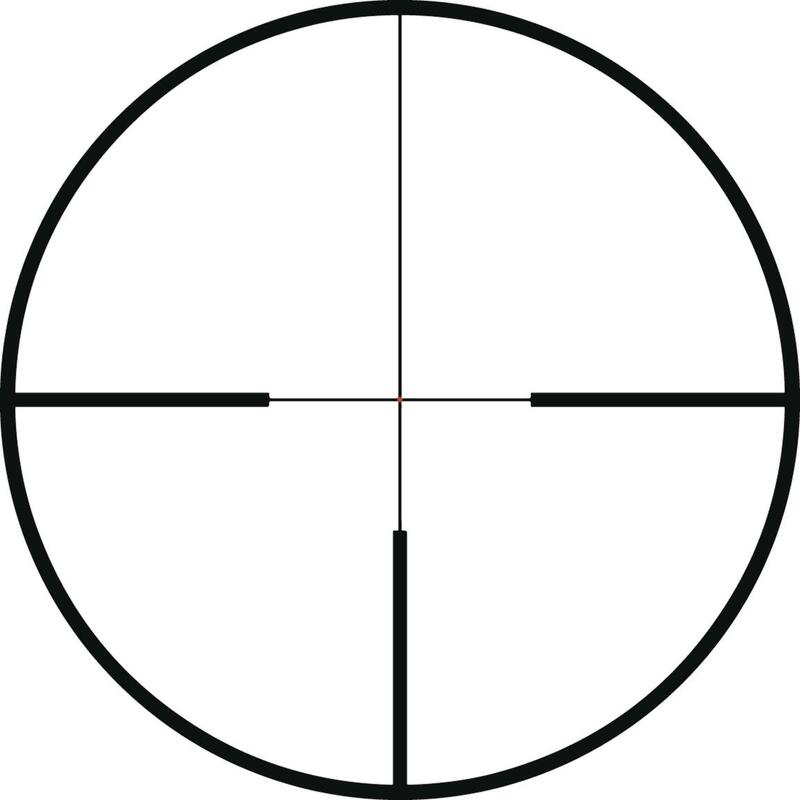 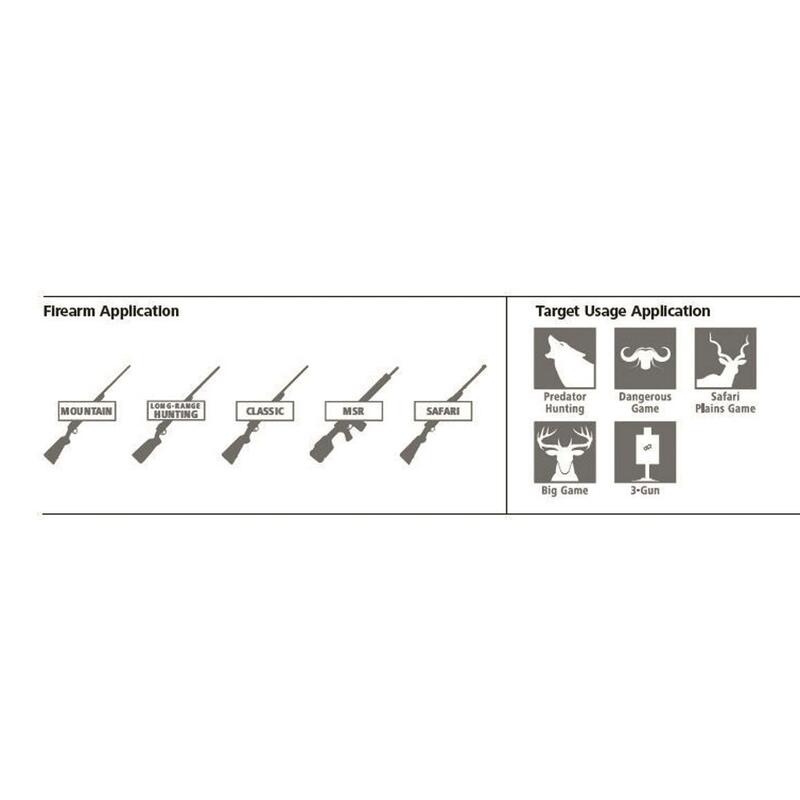 The illuminated #60 Plex reticle is a traditional cross-hair style can be easily adjusted to your target distance and needs.